Can You Do Yoga After a Spinal Cord Injury? If you enjoyed yoga in the past, you might wonder if you can do it now that you’ve had a spinal cord injury. You may think that there are too many poses that you can no longer do. Or maybe you are concerned about hurting yourself. These are good considerations. If you are interested in trying yoga, first talk to your doctor about what you are physically able to do. Once you know what is safe to try, take a look at these five wheelchair-friendly yoga poses and see which ones might be good for you. 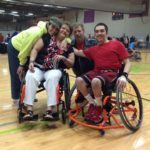 Also, to get a better overview of the benefits of wheelchair yoga and learn a few more poses, check out this article on Passionate People called, Wheelchair Yoga: Feeling Fit and Staying Serene. 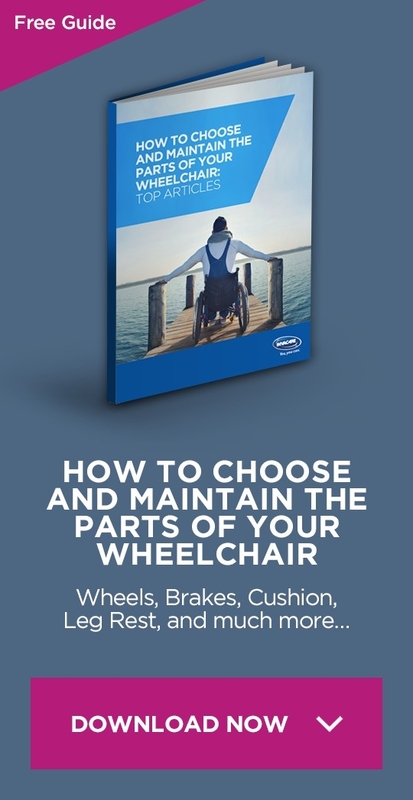 7 How Does Wheelchair Yoga Help Me? Inhale while lifting one leg and crossing it over the other. On the exhale, lean forward at the hips. Repeat this process while inhaling and exhaling for 3 to 5 breaths. Then repeat the sequence using the leg on the other side. Pose 2 is good for relieving tension and stress in your back. Start on the inhale by bringing your left hand across your right leg. Use your other arm for support. On the exhale, twist as far as you comfortably can, looking over your right shoulder. Hold this pose for 3 to 5 breaths. Then repeat this stretch on the left side. While Inhaling, lift your right hand straight up and over your head. Support yourself with your left arm. When your right arm is fully stretched, and you can not reach over your head any further, exhale. Hold this position for 3 to 5 breaths. Then repeat on the other side by stretching out your left arm. Hold your thighs or grab onto your wheelchair for support. Drop your chin toward your chest while arching your spine and rounding your upper body forward. Hold this position for 3 to 5 breaths. Inhale, lifting your arms. Then, on the exhale, with your arms still lifted, cross your arms at the elbows. Your hands should end up back-to-back. Hold this pose for 20-30 seconds, remembering to slowly inhale and exhale the whole time. These five poses are a good start, but there are many more ways you can stretch from a seated position. YouTube has several videos on wheelchair yoga, and even more on seated yoga, or chair yoga, that can be adapted for wheelchair users. Always make sure to keep your doctor’s recommendations in mind, as some chair yoga poses are made for people who have to remain seated for other reasons, such as long plane rides. They may not have to use the same safety considerations as you. Matthew Sanford is a well-known wheelchair yoga instructor. Paralyzed at age 13, he has been one of the most influential people in the word of adaptive yoga. This video presents his story well. For a longer yoga session, you can watch this video on “Mindful Chair Yoga.” It is a relaxing, 30-minute video that emphasizes getting in touch with your body and becoming aware of its sensations while doing gentle stretches. 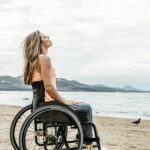 How Does Wheelchair Yoga Help Me? 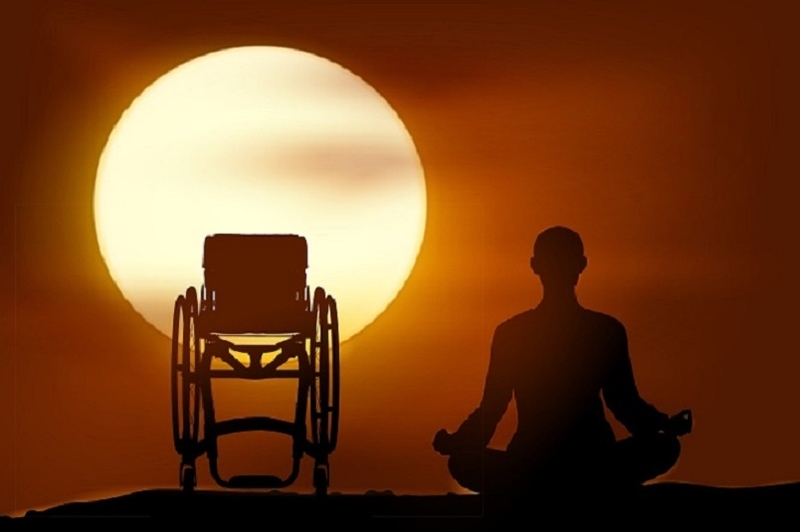 Wheelchair yoga gives you many of the benefits of traditional yoga. It reduces your stress levels and helps with anxiety. Mentally, it can increase your focus and clarity. Physically, yoga increases flexibility, balance, and strength. It can also increase your lung capacity. 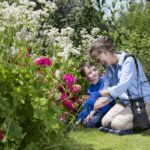 These changes will improve your overall sense of well-being and also lead to more restful sleep at night. Now that you have all this information, it’s time to check in with your doctor and start enjoying some yoga. Namaste!